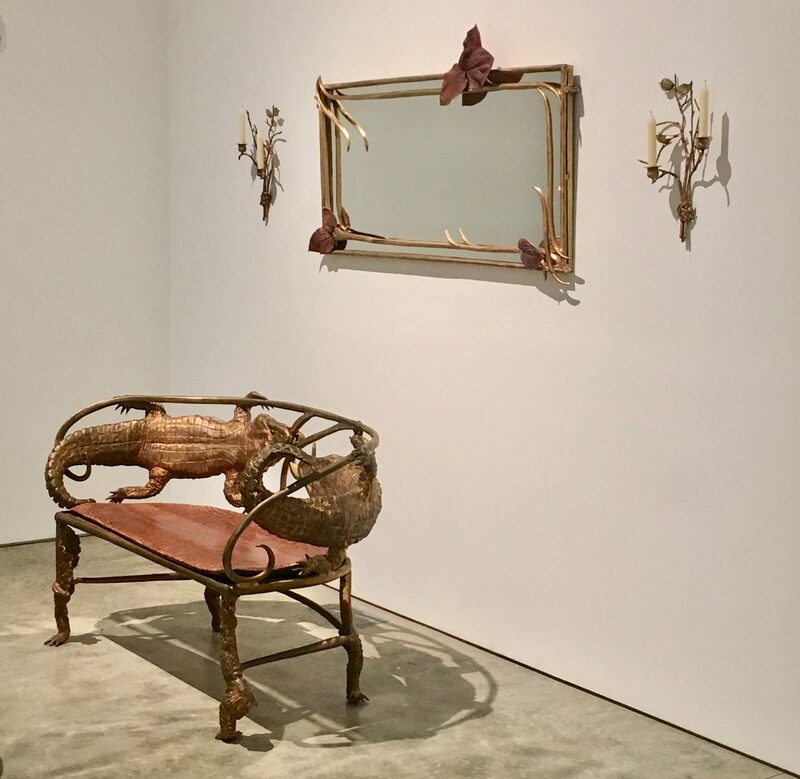 Parisian born sculptress Claude Lalanne (b. 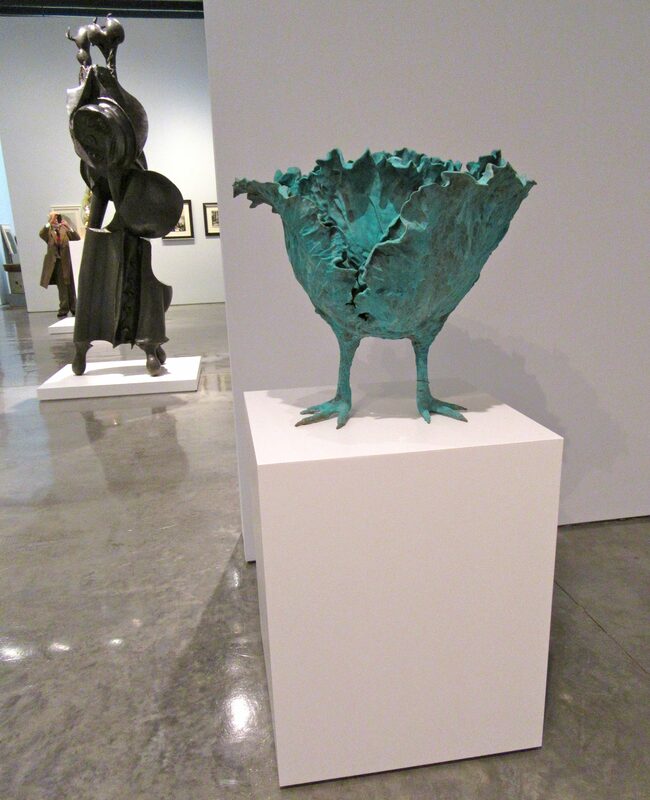 1924) did not come into her own until she was in her sixties. 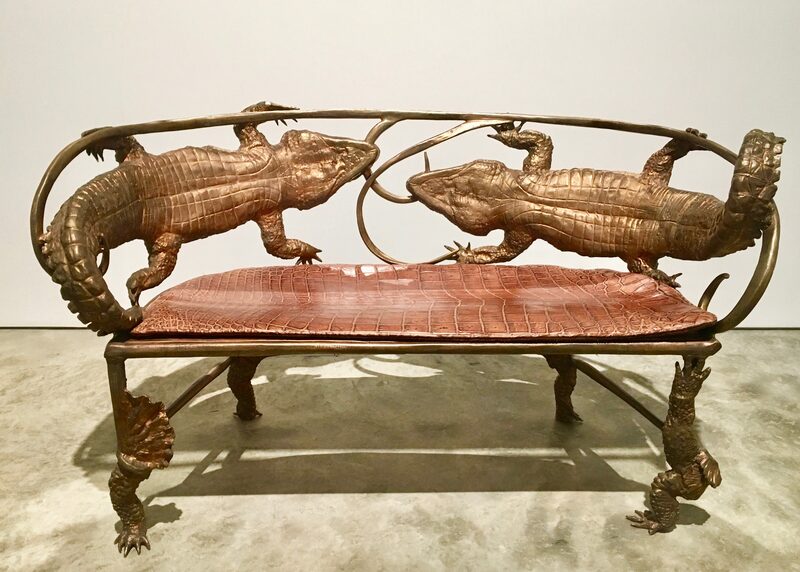 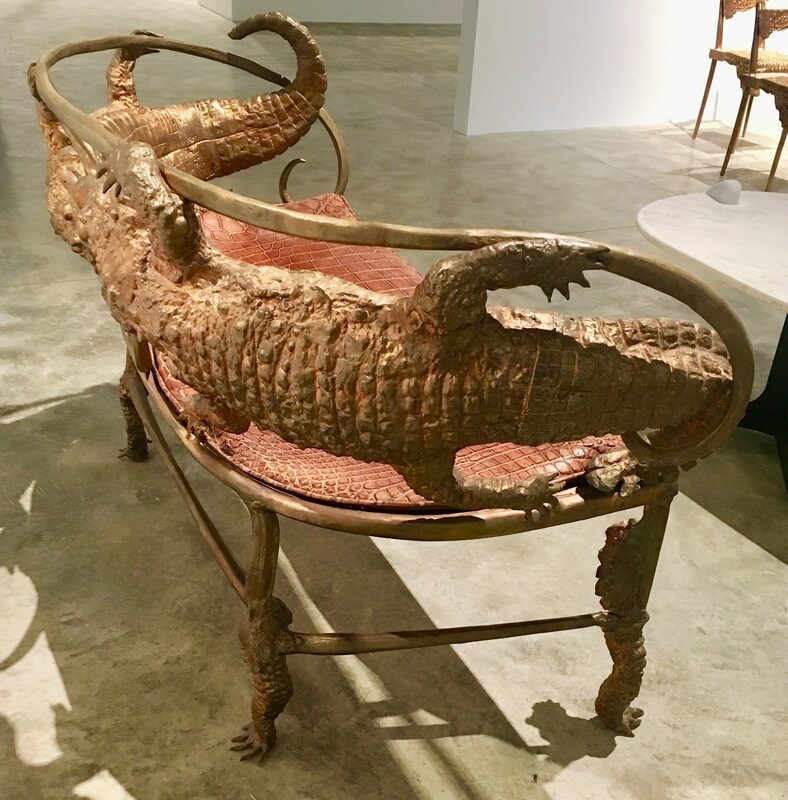 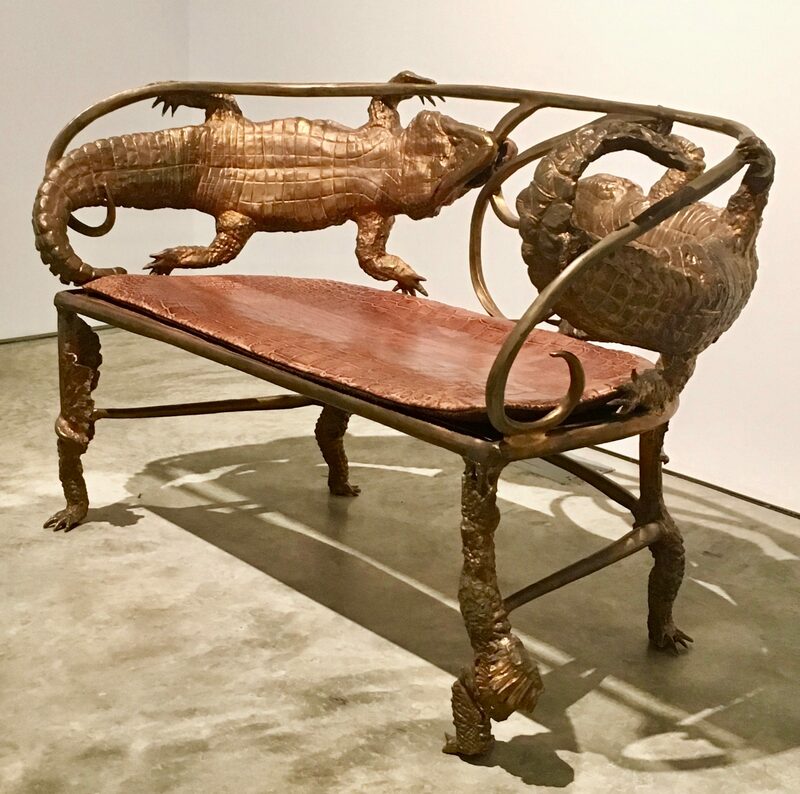 She and her husband, François-Xavier Lalanne (1927-2008), were known as Les Lalannes as they both worked and exhibited together, she creating garden-inspired works to his slightly surreal animal sculptures. 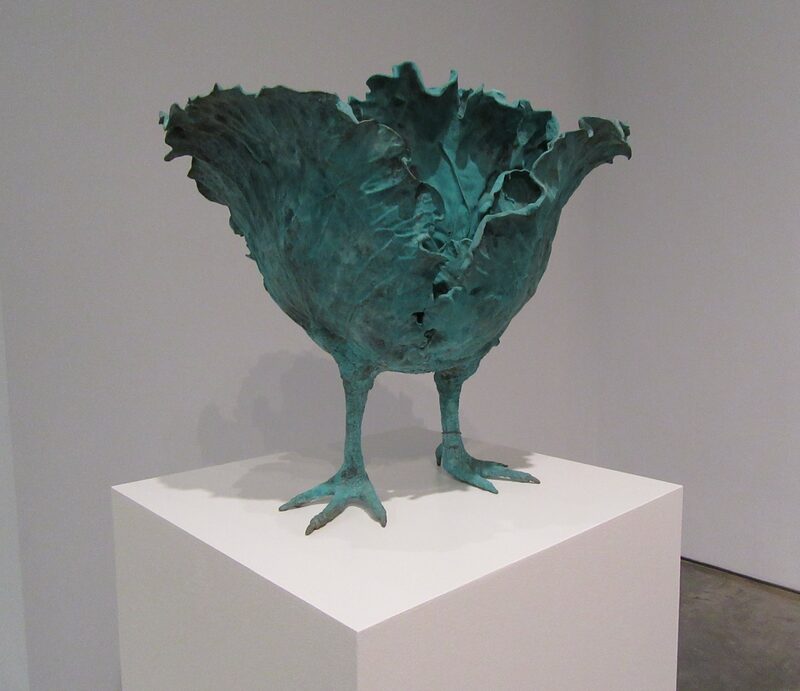 This provocative cast bronze sculpture of a Cabbage with Chicken Feet, entitled Choupatte Moyen (2012) is part of the Impasse Ronsin group exhibit at Paul Kasmin Gallery on West 27th Street, in the Chelsea Gallery District. 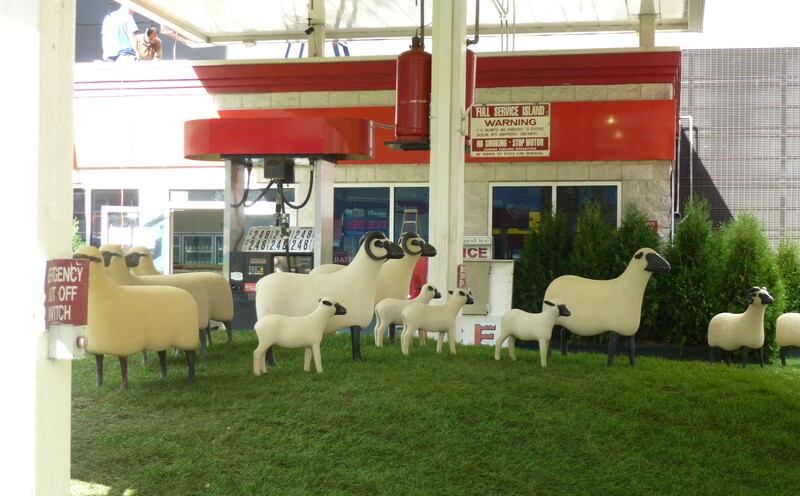 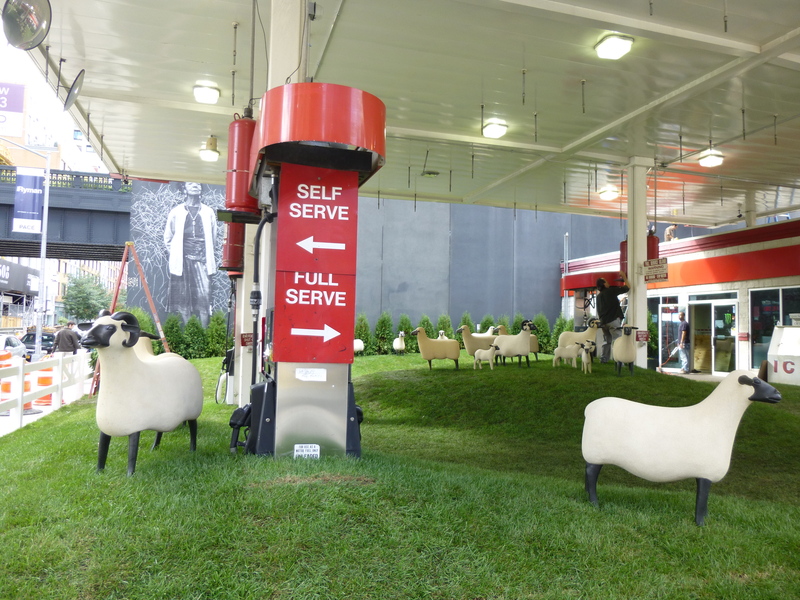 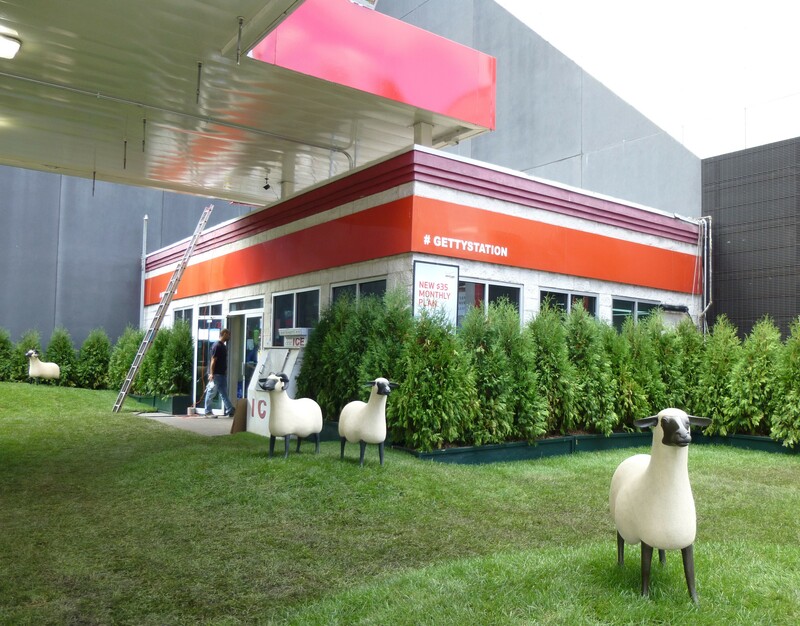 French artist Francois Xavier Lalanne and Paul Kasmin Gallery are in the process of transforming the Getty service station located at the Northwest corner of Tenth Avenue and 27th Street into an urban Sheep Meadow and it’s a total kick! 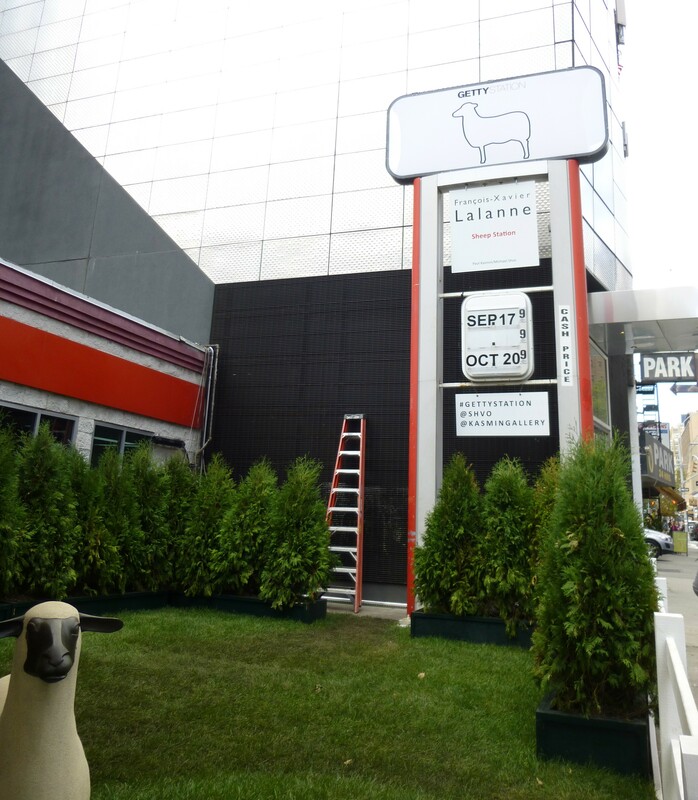 The installation is almost finished and it’s easy to take lots of pictures from the sidewalk, but it won’t be officially open until Tuesday, September 17th, at which point viewers may enter the space and walk among the sheep. 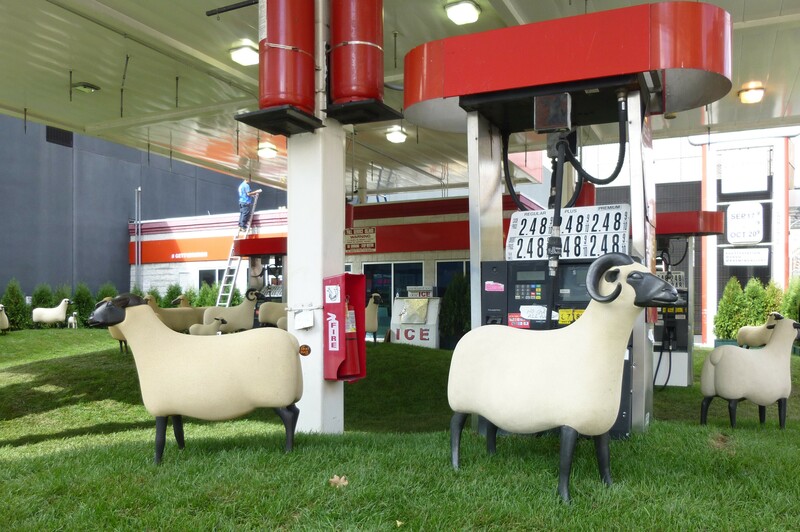 Getty Sheep Station By Francois Xavier Lalanne will be on Exhibit to all who wander by from September 17th to October 2oth, 2013, just across the street from the Paul Kasmin Gallery.